Carpet removal – replaced with hardwood floors by an allergy-prone taxpayer. 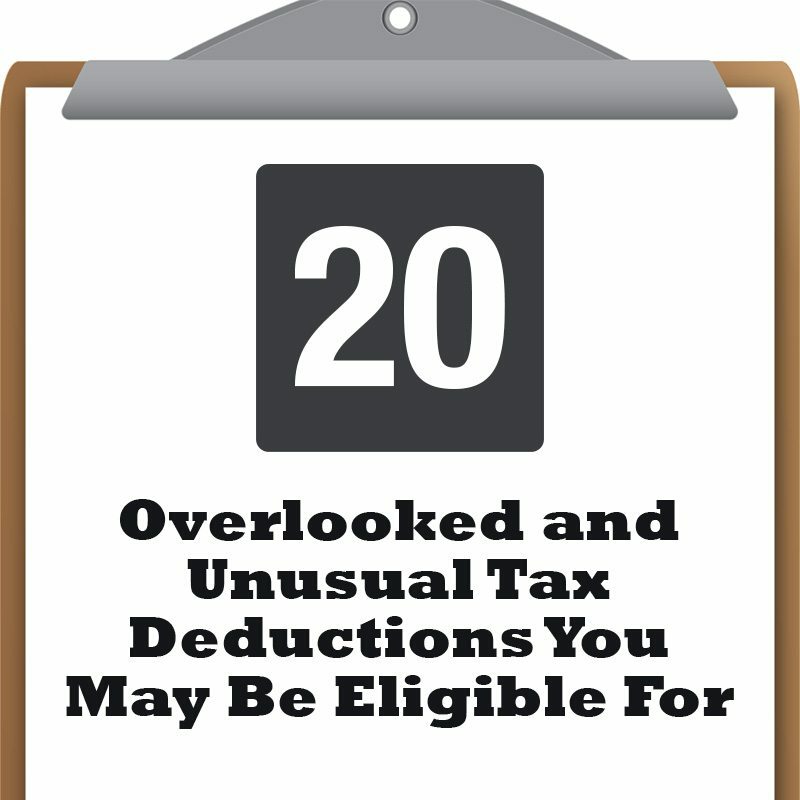 Racehorse – Don’t try to deduct your racehorse as a business expense for a client who enjoys watching horse racing. Salad – the cost of lettuce & tomato was not allowed as a medical expense for a person with diabetes, on a restricted diet. Air-conditioned hotel room – a one-night stay in a hotel was not allowed as a medical expense for an asthmatic taxpayer with a broken air conditioner. 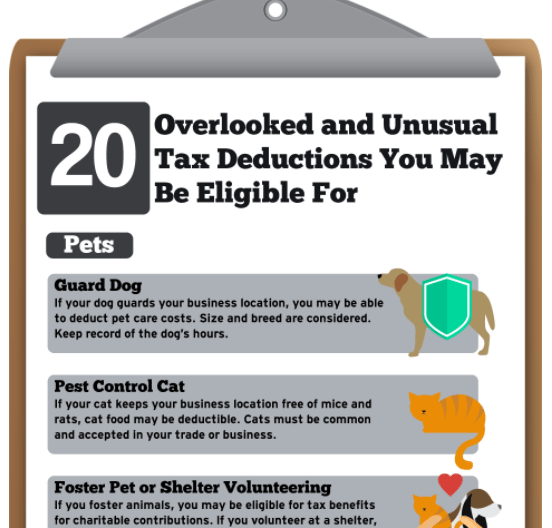 This infographic of 20 Unusual Tax Deductions you’ve probably never heard but may be eligible for, may leave you with a little more cash this year! TitleMax® is one of the largest alternative lending companies in the nation, spanning 16 states coast to coast. In addition to knowledgeable and understanding customer service reps, TitleMax® offers title loans and title pawns with a quick and simple application process despite your credit history. And, you keep driving your car throughout the loan or pawn. Next time you need cash, visit the friendly faces at your neighborhood TitleMax®. We’re here to help.